Dealing with an employee's physical or mental health in the workplace has always been a tricky subject. The ADA is in place for to give employer's guidelines on how to deal with request for accommodations stemming from an inability to perform one's job without an accommodation due to some health issue they are facing. While it is great to have guidelines, even the most thorough details could not cover every possible situation that could arise. For many employers, navigating the minefield of what is a reasonable accommodation and what isn't can be overwhelming. There are certain health issues that are clear: terminal illnesses and permanent disabilities such as blindness or the need to use a wheelchair are pretty cut and dry. The need for the accommodation is clear and the employer can easily decide whether they can make that accommodation or whether it would cause an undue hardship. More and more however, employees are requesting accommodations for health concerns that are not as clear. The requests are for illnesses that are less commonplace but are creeping up more often. An example of these concerns would be an employees who requests to go the restroom more often due to irritable bowel syndrome. Or an employee who claims that the chemicals they work with are irritating their sensitive skin, even though all protective equipment is provided and used properly. How do leaders deal with these non-traditional health concerns? Regardless of whether the health concern is covered by the ADA or not, all requests for accommodation should follow the same policy and procedure. Employers should include an accommodation policy in their handbook and make sure that employees understand the correct procedure for requesting an accommodation. Managers should be trained on the accommodation policy as well as what to do when they receive a request. Managers who say the wrong thing or promise an accommodation that actually can not be made can set the company up for legal issues down the road. If employees are to take their accommodation request to managers first, that manager should be trained on what they should and should not say as well as what to do next. 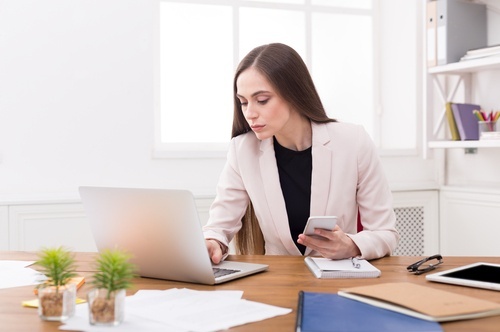 While many employers are hesitant to ask too many questions about an employee's health as not to violate HIPAA or privacy laws, considering an accommodation for an employee requires that an employee fully understand the concern. There is nothing out of line with asking for a statement from a physician describing the concern and the exact accommodations needed for the employee to properly carry out their job duties. Likely the most important step of any accommodation request process is the interactive process. In this step, employer and employee will discuss possible accommodations to see if they can come to a mutual agreement. Traditional or non-traditional requests do not have to be accommodated if the employer can show an undue burden. However, what is considered undue is subjective. Lawyers advise that if an accommodation can be made, even if the reasons seems minor, it should be made. Once an accommodation has been made, it is not set in stone. It is important to communicate to the employee that you will review how the accommodation is working, the continued need for the accommodation and make any adjustments that need to be made periodically. An employer may be quick to dismiss an accommodation request for what seems to be a minor or non-traditional health concern, but doing so would be shortsighted. Following the established policy and procedure and making the request when reasonable is the best way to maintain employee morale and mitigate future legal risk.